PUB HTML5 eBook publish software helps fulfill your expectation of achieving a fantastic paper viewing experience in your IPAD-----one of the most popular mobile electronic devices in modern age. Why PUB HTML5 is an ideal eBook publish software? PUB HTML5 is an ebook or electronic publishing software that allows you to quickly, easily and professionally create & sell electronic publications such as eBooks, eCatalogs, ePresentations, photo albums and much more. PUB HTML5 Create multi-media eMagazines, eCatalogs, eBooks and eBrochures in minutes. Import your PDF or create from scratch. View in-browser or stand-alone. While electronic devices tremendously emerge, people are increasingly complaining about the fact that though they get more access to electronic books and magazines, the real experience of viewing paper books is gone. Being buried under millions of thousands information, they become really nostalgic about the time when they can flip their real paper books and add annotations wherever they want to. To try to change the embarrassing situation, we launched PUB HTML5 which is meant to meet the very demand of electronic users in modern age. It was designed for users not only to reach numerous online books or magazines, which usually present as pdf files and are not quite applicable for reading, but help them restore the very experience of real book viewing. PUB HTML5 software allow publishers to convert PDF Magazines, Brochures, Catalogs, Manuals, Flyers, Annual Reports, Books and much more to page turning web pages in 2 simple steps. Because of its multiple functionalities, comfortable web browsing experience, chic appearance, IPAD has become a highly celebrated electronic devices frequently used by modern people. To perfect the use of your IPAD, we originated PUBhtml5 to help you acquire real book viewing experience you have long expected. With multiple functionalities and custom setting tools, you are allowed to convert your original pdf flies, images, office files, into gorgeous page sliding books with quite an ease . More importantly, you may both online and offline publish your eBooks or ebook publish software created with various outputting formats you’d like to choose. 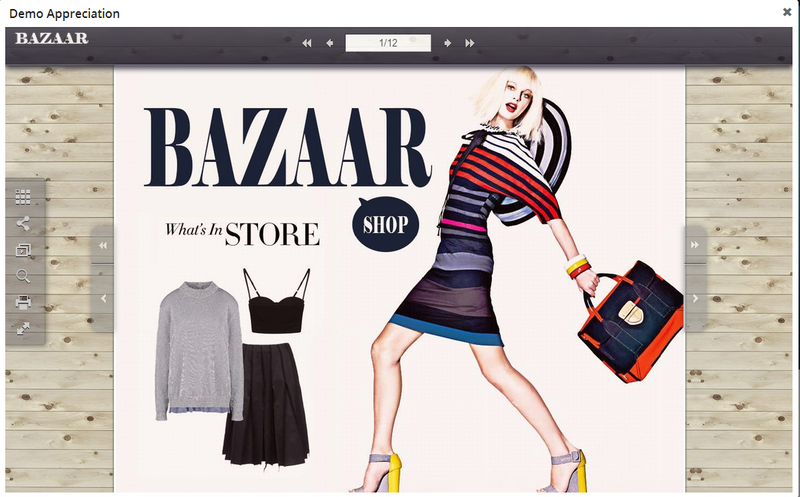 Utilizing PUB HTML5, eBook publishing software, we created a visually stimulating and atmosphere rich flipbook. There is background music included and the hard cover features is enabled to make this sample have the look and feel of a traditional book yet includes all the advantages of being digital. 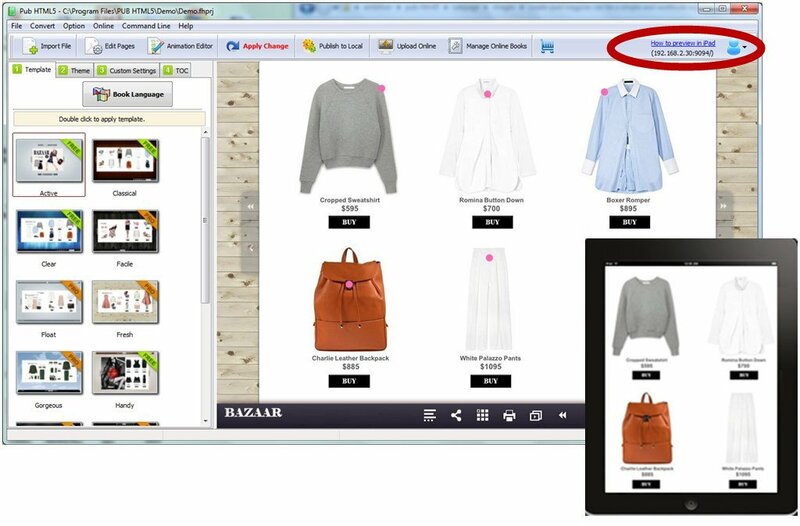 With our ebook publish software you can add interactive rich media such as images, videos, or flash animation. You can also utilize flipb, ebook publishing software to enable advance features such as white label branding or password protection to secure all or some of your pages. How do I publish my eBook? Generally you may create your project for two different kinds of use. That is, you may either convert your files for personal reading with the expectation of fantastic viewing experience , or share your publication online for business promotion, company publicity, or other specific purpose. Multiple project exporting formats are available for option to meet your demand of different usage.If you’d like to make your publication for personal reading, what you need to do is to publish your creation to local simply by clicking the PUBLISH TO LOCAL button and choose HTML , which is primarily for web browsing, as your project outputting format. Mostly users may design their publications for online share especially those who work on business promotion. In this circumstance, PUBhtml5 offers online share service which you may apply to directly online publish your creation without using the FTP server of which service fees can always be steep. Simply by clicking the UPLOAD ONLINE button, you’ll be allocated with a link (URL) that can be inserted to main stream social networks. Besides the method of providing a URL link to your social networks, social sharing can also be achieved by inserting your publication as a Plug-in. 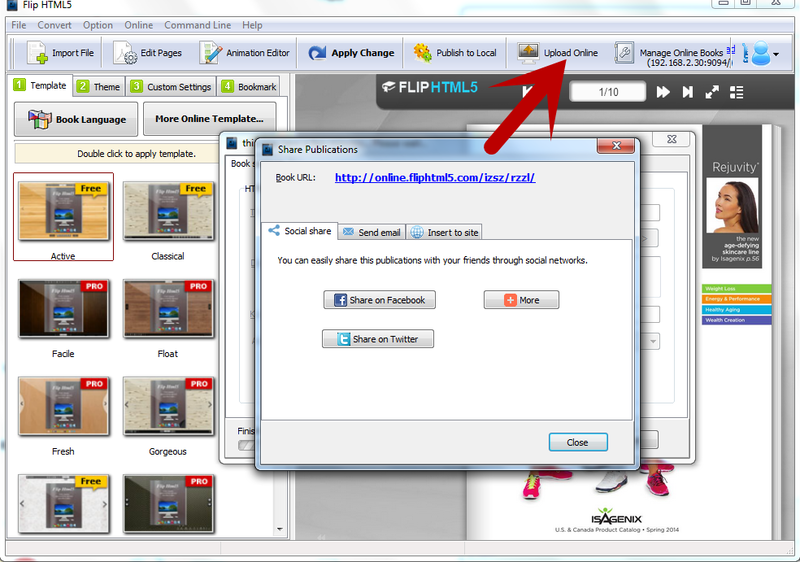 if you prefer the plug-in method, you may click the PUBLISH TO LOCAL button and save your creation as plug-in first. 3. How can I preview my digital publication on IPAD when i finish my creaton on PC?